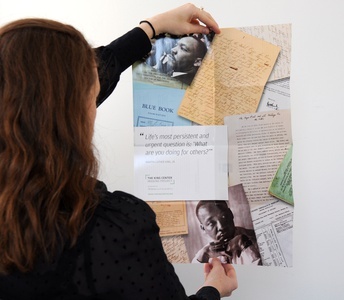 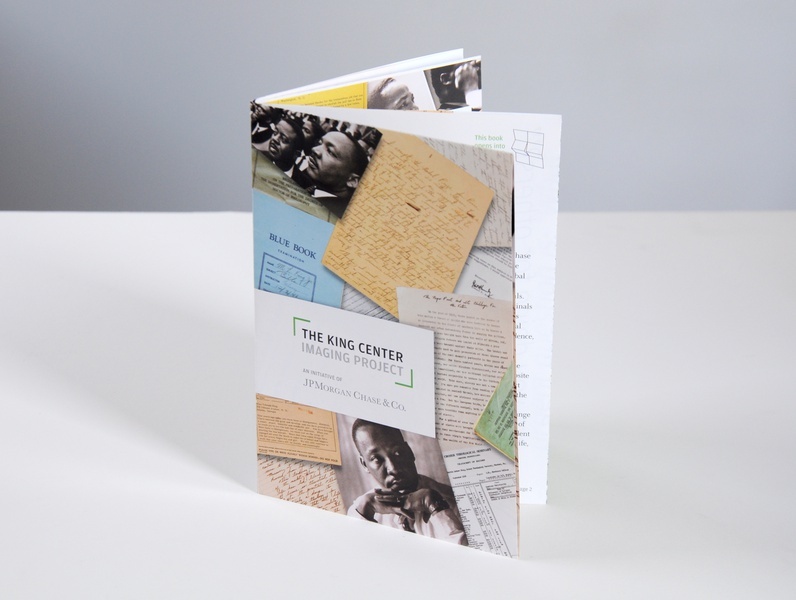 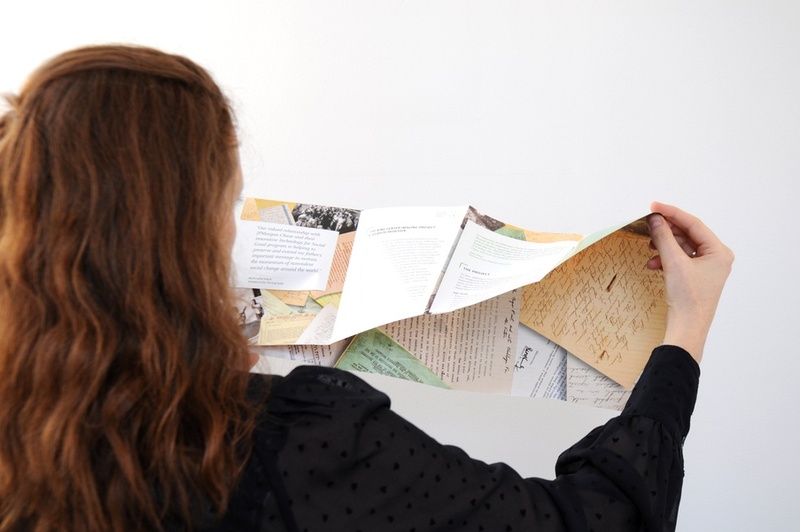 As part of the firm's work with JPMorgan Chase & Co. on the King Center Imaging Project, C&G Partners created a unique booklet/poster that outlines the project and its goals, while highlighting several key artifacts from this online archive of Dr. King's original writings, photographs and correspondence. 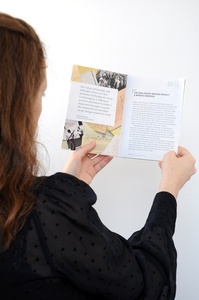 The booklet is designed to be read in sequence, traditionally from front to back. 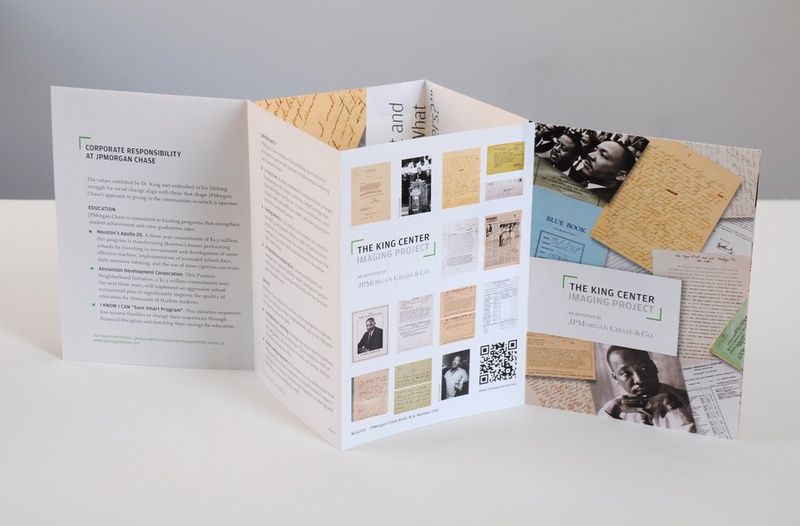 However, after a few simple reverse-origami steps of unfolding, the booklet opens outward into a full-sized commemorative poster of the exhibition.